on saturday we got a last-minute call from our friends the jensens asking if we wanted to take their son matt to see les mis at the pioneer theater that night. they had come down sick and needed someone to take matt (and their $50-per-seat tickets) off their hands. nooo prob! 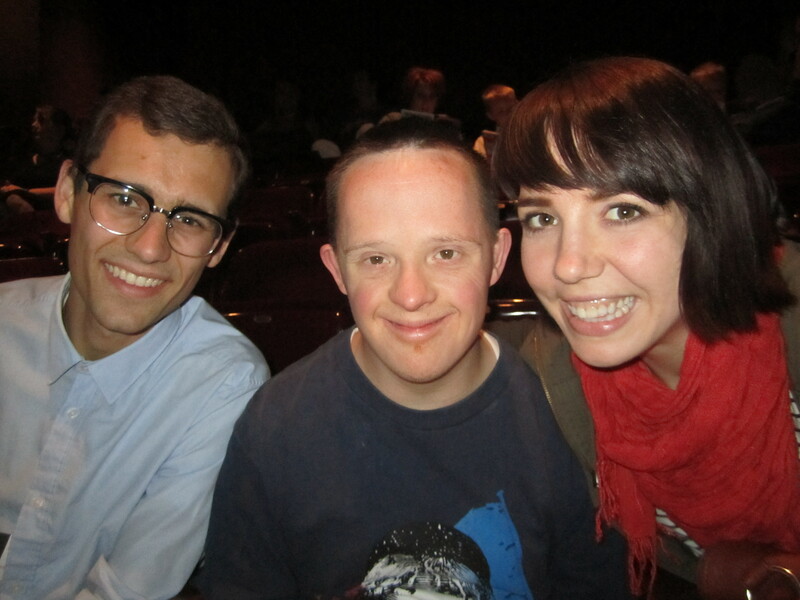 we love hanging out with matt and he is the number one fan of les mis, so we were excited to go. matt knows every word to every song and was telling us more about the characters than we even knew — it was david’s first time seeing it, though he did see the movie at christmas. we were a little surprise matt resisted the urge to sing along to every song, but he did poke us on the arm every few minutes to make sure we were as excited as he was anytime marius was on stage. on the walk to the car we belted out “do you hear the people sing?” so well that matt said we should both try out for the play ourselves. he does good things for our egos. This entry was posted in cultured, salt lake city and tagged cultured, date night, les mis, play. Bookmark the permalink. oh my! i wish we would have talked about this last night! matt jensen and his love for les mis are two of my favorite things! i have a video of him singing empty chairs for me and tan and it is the best. sounds like a perfect saturday night to me. oh i know! i meant to bring it up! you guys first introduced me to matt, after all. yep it was so great. awwww, this is so sweet!! Love Matt! AHaha what a cute story, love his enthusiasm! !